Angela from Gemstone Gypsy, one of our very favorite jewelry instagram feeds, stopped into Metier recently with her boyfriend and we were so excited to meet her! Long-time admirers of her luscious photography and witty posts we knew we would all become fast friends. An obsessive jewelry lover and thoughtful collector, Angela is based in New York City and has an Etsy shop, Jewels for Gypsies with a collection of stellar antiques and fine made-to-order pieces. She quickly put her own spin on our rings and took these seriously gorgeous pictures below. Angela ended up falling for two of our favorite pieces: a men's bloodstone ring and an Art Deco hand-engraved platinum and 14k band. The engraved band will become her wedding band, perfectly complimenting her stunning sapphire and diamond French target engagement ring. San Francisco as well as her spot-on musings about collecting, creating and admiring jewelry. Victorian 18k Black Enamel Diamond Ring in store. Victorian bloodstone ring now belongs to Angela. 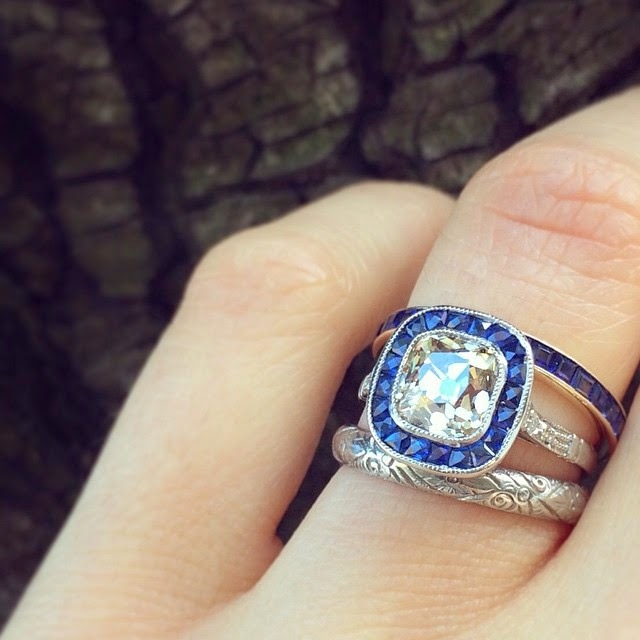 Our antique hand engraved platinum and 14k gold band paired perfectly Angela's beautiful diamond and sapphire target ring. 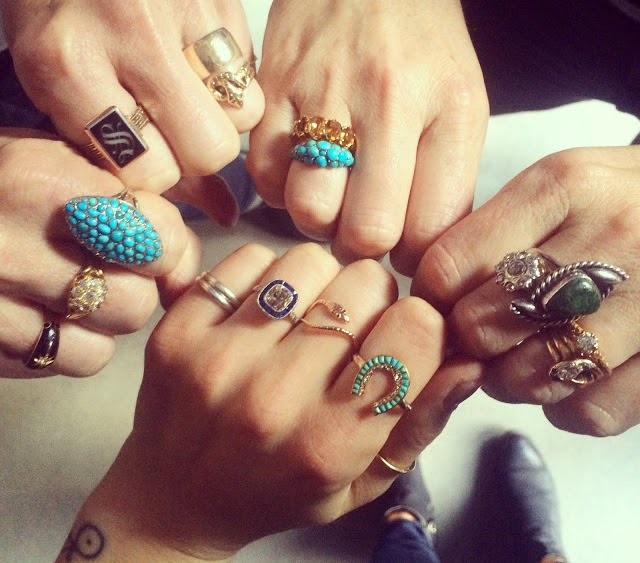 Metier + Gemstone Gypsy Show Me Your Rings!